A Set of 16 - 11th SS Panzergrenadier Division - Nordland Dice (16mm). T..
A Set of 16 - 12th SS Panzer Division - Hitlerjugend Dice (16mm). These ..
A Set of 16 - 12th Volksgrenadier Division Dice (16mm). These custom des..
A Set of 16 - 130th Panzer Lehr Division Dice (16mm). These custom desig..
A Set of 16 - 1st SS Panzer Division Leibstandarte SS AH Dice (16mm). Th..
A Set of 16 - 2nd Gebirgsjager Division Dice (16mm). 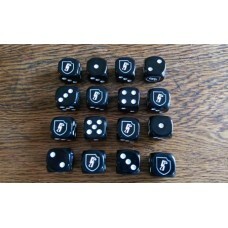 These custom design..
A Set of 16 - 2nd Panzer Division Dice (16mm). 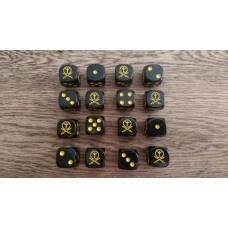 These custom designed dic..
A Set of 16 - 3rd SS Panzer Division - Totenkopf Dice (16mm). 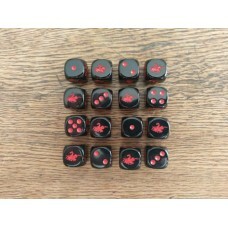 These cust..
A Set of 16 - 4th Panzer Division Dice (16mm). These custom designed dic..
A Set of 16 - 502. Schwere Panzer Abteilung Dice (16mm). These custom de..
A Set of 16 - 505. Schwere Panzer Abteilung Dice (16mm). 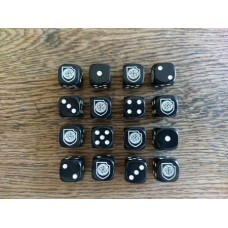 These custom de..
A Set of 16 - 5th SS Panzer Division Wiking Dice (16mm). These custom de..
A Set of 16 - 653. Schwere Panzerjager Abteilung Dice (16mm). 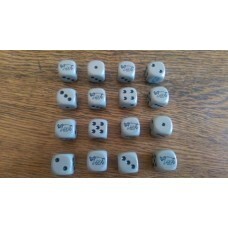 These cust..
A Set of 16 - 78th Sturm Division Dice (16mm). 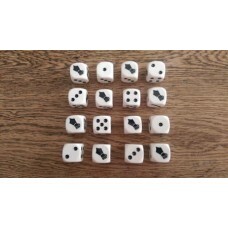 These custom designed dic..
A Set of 16 - DAK Deutsches Afrikakorps Dice (16mm). These custom design..